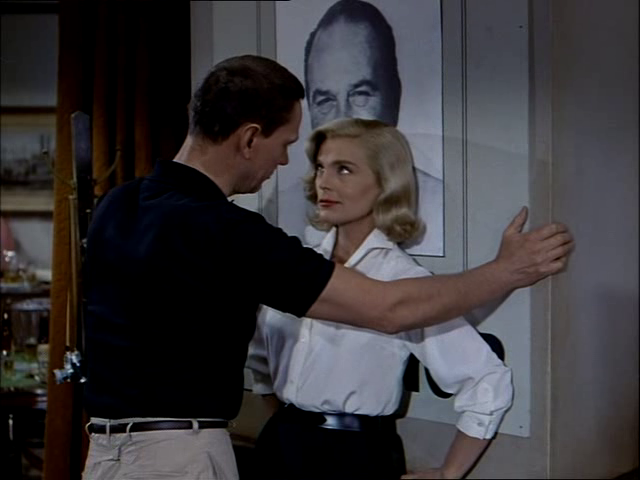 A traveling music producer (Lizabeth Scott) and her ex-husband (Wendell Corey) nurture the talents of a delivery boy (Elvis Presley) whose singing is a huge hit with local teens. Scott does everything she can to promote Presley, but his loyalties are torn between fame and romance with a young singer (Dolores Hart). Elvis Presley’s second feature film — after his debut in the western Love Me Tender (1956) — was much better suited to his talents and persona, essentially telling a variation on his own rise to fame and manipulation by an ambitious producer. The most interesting character is Scott’s husky-voiced, middle-aged promoter, who is still clearly enamored with her singing ex-husband (Corey) but equally determined to take advantage of Presley’s explosive popularity; she’s a relatively complex figure and we’re kept guessing what moves she’ll make next. 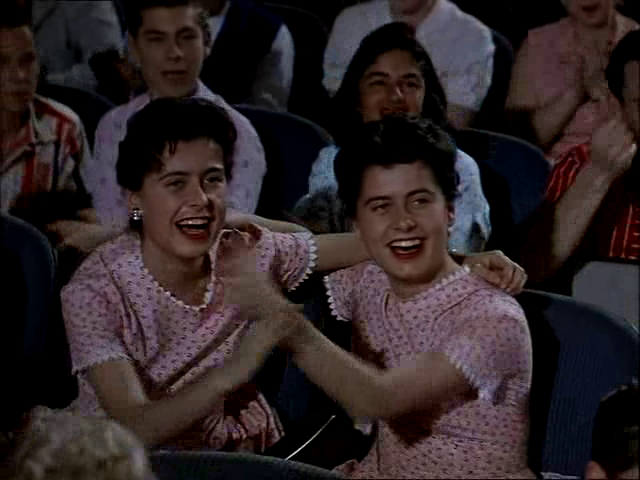 Hart, in her debut film, is sweet and sympathetic as Presley’s friend and would-be lover, and Presley is in top crooning form. The storyline itself isn’t original enough to merit much attention, but it’s a pleasant enough diversion. 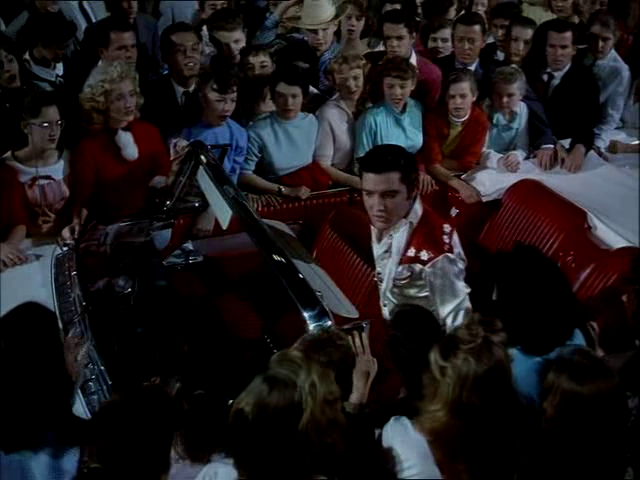 No, though it’s worth a look if you enjoy Presley’s early on-screen presence. Not must-see – but in complete agreement with the fair assessment: “it’s a pleasant-enough diversion”. I took a look at Presley’s filmography and realized I’ve seen all of his films. That’s because of the period in which I grew up. At the time, Presley was, of course, HUGE! As a young’un, I didn’t personally take to him that much – I didn’t dislike him, but I was much more taken with The Beatles (who were making a serious play for Presley’s ‘throne’). 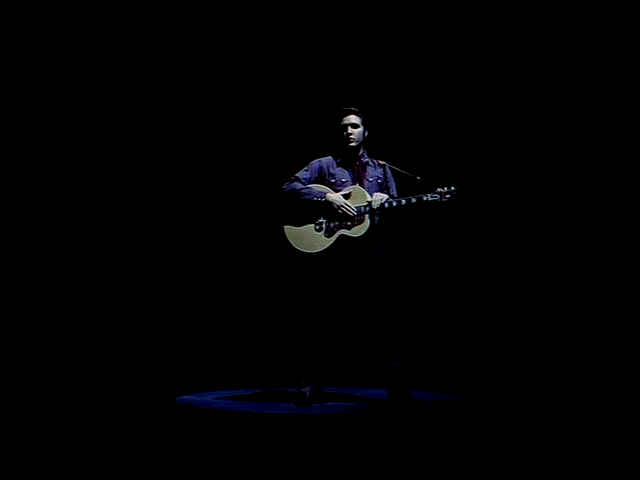 It wasn’t just that it was Presley, though. It was more that he was the apex of rock’n’roll…and the tide was changing. My young ears were more attuned to the newer sounds of the ’60s. Even so…Presley still held a strong rule over music in the film world. From 1960 on, he made 2 or 3 films a year. These films ran constantly on television. (Keep in mind that many young kids lived in homes that had a total of 3 channels to choose from.) So it wasn’t long before I made it through the whole Presley library. 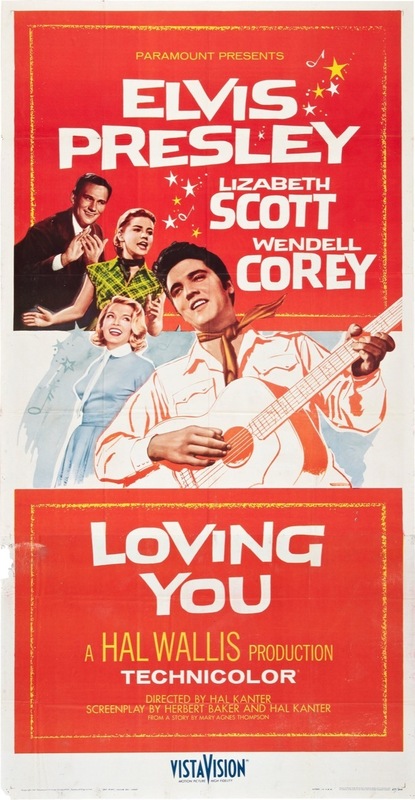 Being among his early films, ‘Loving You’ is a bit stronger than the bulk of what would follow. Wow — ALL of Presley’s movies!!! That’s impressive, but I can understand how it came to be. I think I had only seen “Jailhouse Rock” and maybe one other before revisiting Peary’s selections for this site. I will admit I don’t feel particularly motivated to check out any more. I was interested to learn about Presley’s career in Hollywood. I hadn’t realized he aspired towards acting kudos a la James Dean and Brando. I must say I don’t really see that kind of talent in him, and feel sad that he allowed this disappointment to fuel his too-short life, since he out-sings Dean and Brando ANY day! Well, as I implied…it wasn’t exactly…a goal…to see all of Presley’s movies. At the time, homes with kids were kind of starved (in a way) for entertainment (with only 3 channels, we had less than 1% of what is available on television now). I’ve wondered what exactly led to Presley’s downfall in his mind (considering he left us when he was 42). I’m no kind of Presley expert, since I didn’t follow more of the specifics of his career/personal life much – but, even just by revisiting ‘Loving You’, one kind of senses a…generic…quality in the range of his songs. It seems unfortunate that a lot of the material he worked with was somewhat pedestrian. I don’t recall him stretching himself terribly much as a singer. And even though he did work with directors like Michael Curtiz and Don Siegel…and showed some potential as a result, perhaps…his script choices (or was he talked into them to maintain his image?) didn’t stretch him either. I also wondered how (at all) he may have felt about rock’n’roll giving way to ‘the beat of a new generation’. Singers and musicians often find themselves in a bind if they don’t change with the times. And maybe some of them just aren’t able to. 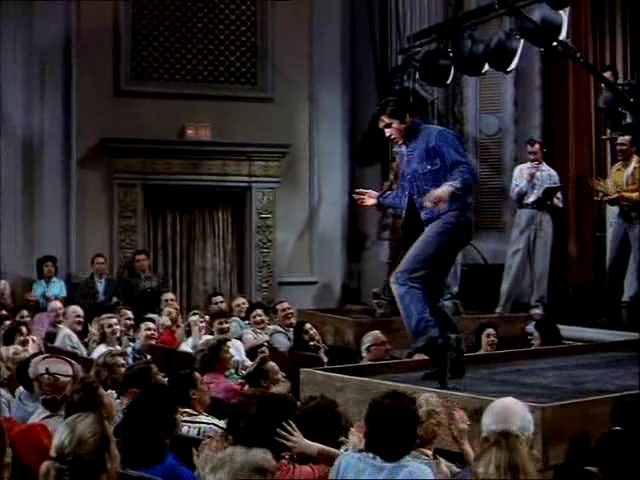 In ‘Loving You’, a young girl refers to him as “the one with the jumpin’ beans in his jeans”. And it has occurred to me that (sadly) that had much to do with his appeal. It’s probably something of a sadder career than we realize…being simultaneously explosive yet creatively hemmed-in.